Sometimes there is just nothing better than a delicious baked treat. That's when you can turn to this healthier version of sweet and moist zucchini bread. These zucchini lemon muffins are the perfect treat for that sweet tooth that won't leave you feeling guilty. 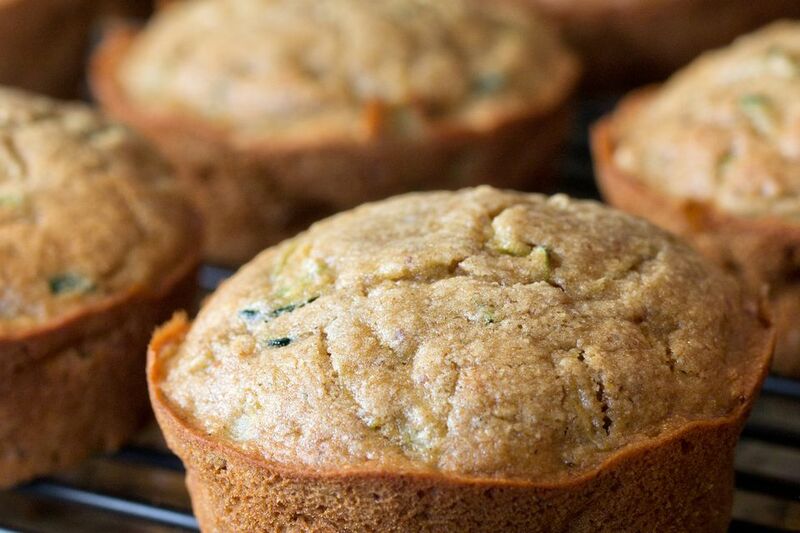 This zucchini lemon muffin recipe appears in the Weight Watchers cookbook, Simply Light Cooking, which offers Weight Watchers participants a lower fat and healthier alternative to traditional baked goods. But you don't have to be following Weight Watchers or any sort of weight loss diet to enjoy these muffins. Line 12 (2 1/2-inch) muffin pans with paper baking cups; set aside. In large mixing bowl combine flour, sugar, baking powder, and baking soda; set aside. In a medium mixing bowl combine shredded zucchini, egg substitute, vegetable oil, lemon juice, and lemon zest, stirring to combine. Add to flour mixture and stir until moistened. Fill each baking cup with an equal amount of batter. Bake on the center oven rack for 20 minutes or until golden and toothpick comes out dry. Remove muffins from oven to wire rack and allow to cool. Ingredients Note: Most all baking power sold in grocery stores today is double-acting, which simply means that it contains two types of acids that will react at different times in the baking process.